Schluter-KERDI-BOARD is a multifunctional tile substrate and building panel, which can also be used for creating bonded waterproofing assemblies with tile coverings. Available thickness for the Schluter-KERDI-BOARD are 3/16″, 3/8″, 1/2″, 3/4″, 1″, 1-1/2″, and 2″. The boards are simply cut to size with a utility knife. The gridlines, which are printed on the surface, are helpful for neat and quick cuts and installation. Schluter-KERDI-BOARD-V is a vertically grooved substrate and building panel for creating curved elements. 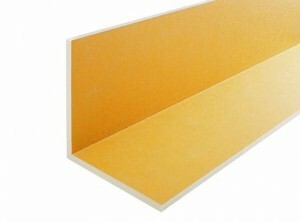 If a larger expanse of panels is required, several panels can be connected along the edges with thin-set mortar, Schluter-KERDI-FIX adhesive, or double-sided adhesive tape. 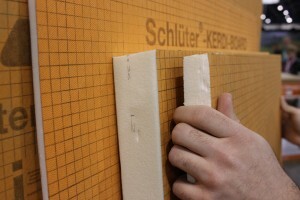 Schluter-KERDI-BOARD-U is a U-shaped panel used to create pipe or column coverings. The panels feature V-shaped grooves and are shipped in a space-saving flat design, which makes them easy to store. The flat panels are also quick to cut to the necessary dimensions. 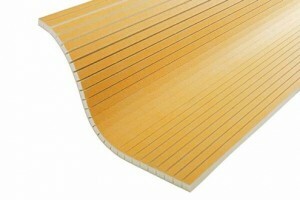 Thin-set mortar, Schluter-KERDI-FIX adhesive, or double-sided adhesive tape is applied to the V-grooves. The panels are then folded prior to installation. 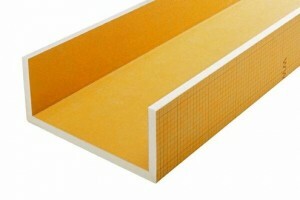 Schluter-KERDI-BOARD-E is an L-shaped panel used to create corners and pipe or column coverings. The panels feature a V-shaped groove and are shipped in a space-saving flat design, which makes them easy to store. 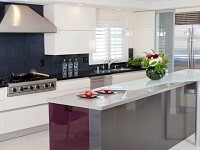 The flat panels are also quick to cut to the necessary dimensions. 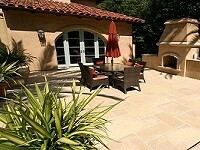 Thin-set mortar, Schluter-KERDI-FIX adhesive, or double-sided adhesive tape is applied to the V-groove. The panels are then folded prior to installation.